Heighten your arts experience at the Fox by attending our Arts Partners events. We are proud to be partners with these important organizations who perform at the Fox. Visit their website or call for event information or about how you may lend them your support. Thanks Arts Partners! ArtisTree integrates performing arts, education, and entertainment for a richer quality of life in the community. 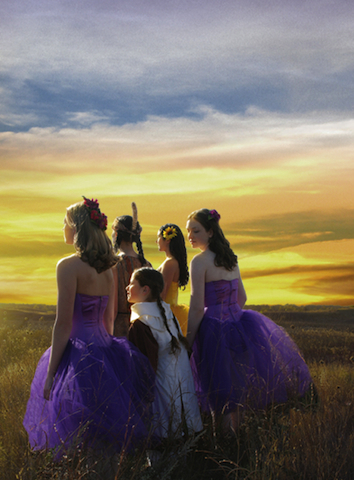 Each spring Dancers of ArtisTree present an outstanding performance at the Fox. For more information contact Betsie Andrews: 620-663-2649. The Hutchinson Municipal Band is one of the three oldest bands in the state and has provided free concert band music to the City of Hutchinson and Reno County since 1875. It is the band's goal to bring high quality instrumental music and inspiration to the residents of Hutchinson and to provide greater opportunities for people of all ages to participate in a community band. Please attend a concert or join us as a musician! The Hutchinson Symphony performs a full concert series at the Fox. Each concert is preceded by an informative "talk" given by the conductor, Dr. Richard Koshgarian. A 501(c)3 organization, the Hutchinson Theatre Guild strives to produce quality entertainment and provide opportunities for artistic expression for all Hutchinson community members, specifically focused on ages 18 and up. At home on Stage 9 (located at 9 S. Main in the heart of downtown Hutchinson), the Hutchinson Theatre Guild produces plays and musicals ranging from classics to contemporary hits. Phyl's Studio of Voice presents a voice recital at the Fox every April. For more information contact Phyllis Brian: 620-663-7883. A uniquely Kansas adaptation of Tchaikovsky's traditional Nutcracker which is presented at the Fox biennially. Set in 1869 Kansas, this century's new holiday tradition made its debut in 2000 at the Fox. Prairie Nutcracker is the perfect heart-warming American celebration for the heartland's holiday season. It features an enchanting musical score masterfully adapted from Tchaikovsky by Boston composer, Rick Kuethe, a native of Omaha, Nebraska. A delightful and wonder filled holiday gift for the whole family. The Hutchinson Sweet Adelines are part of the world’s largest singing organization promoting barbershop harmony. They present an annual concert at the Fox. For more information contact Phyllis Brian: 620-663-7883. © Hutchinson's Historic Fox Theatre - Designed by Marc Dorsett Graphic Artist.